Having a secure password is one of those things that everyone knows about—everyone knows how crucial it is too—but most of us take it lightly. 7 out of 10 active users on the Internet don’t do anything about securing their passwords. Most people simply use their names or the name of their spouses and children as passwords. They may even include their birth year, car number plate or colour and think they are fully protected. Have I Guessed Your Secure Password? Does your password sound similar to the above? Due to passwords being created in such simple ways online identity theft, hacked accounts and fraud is at record highs. Pickup the newspaper today and you’re guaranteed to read about another person who was scammed, hacked or robbed online. You need to act today by reviewing your passwords to your most sensitive accounts. Anyone on the Internet may be trying to hack into your online accounts, trying to send you phishing mail or trying to extract vital information such as your phone number, your social security number, your credit card PIN, your bank account number, etc. Also, your children are at risk if they are using online messaging boards and chat rooms. We don’t know who’s lurking out there, waiting and watching for that one slip-up. On the other hand, it isn’t all that difficult to secure your password. You simple need to go about it the right way. 9 Easy Ways to Secure Password and Make Your Password Yours and Yours Alone. Never use passwords that are easy to guess. How much ever you love your children, wife, girlfriend, dog, school teacher or yourself, don’t make a password out of their names. Avoid using even birth date information or age as passwords, because these are the easiest to guess. Your password shouldn’t be related to you at all. Keep a totally ambiguous word that no one will connect with you in anyway. It is best not to use any word that is present in a dictionary. Smart password hackers can run software applications that can try and match every word in the dictionary with your password within minutes. If your word is a dictionary word, your security may be at risk. Dictionary attacks are common form of hijacking user accounts. Don’t ever let your password stay online for more than 6 months. Banking, Investment, Email, Social Media passwords should be changed every 3 – 6 months. Change them regularly. The more you type your passwords, the more they are at risk of being hacked by unscrupulous people. Do that as often as you can. Never share your password in any form, online or offline. Don’t trust anyone with your password. Even if they have noble intentions, they may lose your password or give it away in a way they don’t realize. Let your password be sealed in your memory and there alone. It’s online security suicide if you store passwords on your computer in notepad or Word documents. These are the easiest to detect. Spyware has come a long way; these applications can actually X-ray your entire machine and get what they want within a few seconds. Writing down your password on a piece of paper is almost the same as standing on the church steeple and announcing it over the megaphone. Bits of paper are never stored carefully, and we also have garbage-hackers in our midst—people who rummage people’s garbage bins for just such kind of information. Never keep and use the same password for different websites. If one password is exposed, you stand to lose all your other passwords as well. Also prevents webmasters from using the password with your credentials on other websites. You never know how secure some of these small websites really are. Use an application like RoboForm* for password management. The biggest problem with passwords is that most people cannot remember them. They tend to write them down or use the same password over different websites, which are all quite risky behavior. Instead, let the RoboForm application* remember your passwords. This is the most secure way to manage your passwords and the most convenient as well—you don’t have to remember or type your passwords ever again; just a simple login is sufficient to get access to all your private account pages. So, take password security seriously. Update all your passwords, use software such as Roboform* to store passwords securely and frequently update your information. These are the steps you need to implement immediately; don’t wait until it’s too late. See here on how long it will take to crack your secure password. * Roboform is a third party app /software that protects passwords. Works on Windows, USB, MAC, Android, Linux, Windows Phone and online. With industry leading encryption, Roboform works everywhere on multiple devices. 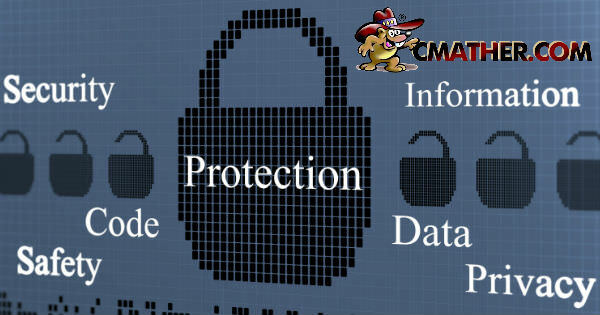 It also fills forms and makes your life easier with industry strength secure password management. We recommend and use Roboform for all our clients. If you use or recommend other secure password managers, please leave your comments in the comments section below.